With the 2017 version of its fiduciary rule now dead, the Department of Labor says it will replace it with a revised version next year, ThinkAdvisor writes. The Fifth Circuity Court of Appeals vacated the Obama-era rule this spring and sealed its fate in June when it issued a mandate on the decision. The rule purported to require retirement account advisors to put clients’ interests first and had gone into partial effect last year. But the agency plans to roll out another version. The DOL has recently posted with the database of the Office of Information and Regulatory Affairs within the Office of Management and Budget that September 2019 will be the date for the final fiduciary rule. “The Department is considering regulatory options in light of the Fifth Circuit opinion,” the agency says in the regulatory agenda. 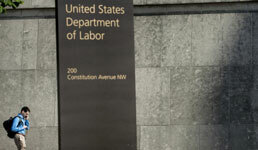 FA-IQ reached out to the DOL but did not get a reply as of this writing. The DOL’s plan to issue a revised version of its fiduciary rule next year is likely why the SEC has taken longer than expected to roll out its own advice standards, which would apply to all advisors and brokers, Steve Saxon, principal at Groom Law Group, tells ThinkAdvisor. In its fall 2018 regulatory agenda, the SEC said it plans to have its final advice standards regulation ready next September as well, according to the publication. Saxon also says the two regulators aiming for the same deadline suggests they could be working together, according to ThinkAdvisor. The September 2019 final action date for the Regulation Best Interest reflects chairman Jay Clayton’s intention of finalizing the rule by that time, but it doesn’t necessarily mean it will indeed be finalized that month, according to people with knowledge of the SEC’s regulatory agenda. The agenda is more of a wish list than an actual plan, they say. The same people, who are also familiar with the progress of the Regulation Best Interest, believe, however, that the SEC is on track to complete the rule by September 2019.